SAN FRANCISCO (KGO) -- Golden State Warriors president Rick Welts unveiled the team's "dream arena" on Tuesday at the Dreamforce Conference. 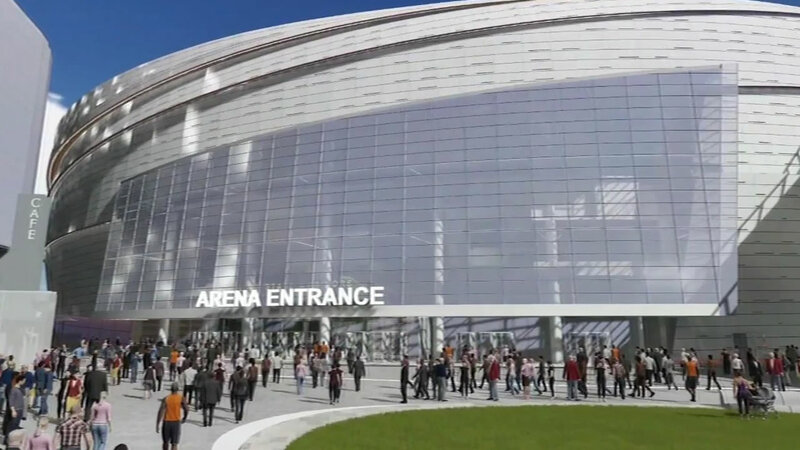 This is a first look at animated video of the team's proposed Mission Bay arena. The team says right now the goal is to open the $1 billion project prior to the 2018 - 2019 NBA season. The arena has the support of Mayor Ed Lee, but opponents say its 200 events a year that will lead to traffic and gridlock in the surrounding area.